Dutch Celtic-Punkers Drunken Dolly must have had a pretty good St. Patrick’s Day judging by the title of the opening track on their new EP! Drunken Dolly hail from the working class port city of Rotterdam in the Netherlands and in the last 2-3 years have gone from being a band that only people in their own country know of to being one of the most well known Dutch bands around. Despite only having a couple of releases they have managed to ride a wave with England’s own Ferocious Dog that has seen them become one of the Hellhounds (Ferocious Dog’s most loyal group of followers) favourite bands with not a single FD gig passing by without a couple of people in the audience with Drunken Dolly t-shirts. They have even managed to to play over here a handful of times with headline gigs in London and some choice support slots (Rock City!) with FD cementing their popularity. Formed in 2004 they briefly split up but forged with a love of Irish and Celtic music and punk rock they soon realised they missed the drunkenness and debauchery involved in being in a Celtic-Punk band so re-united in 2014 and decided to take things a wee bit more seriously. Well that or they just wanted to play music, drink beer and party! Their debut release was Drunken Dolly And The Dead Mans Curse. 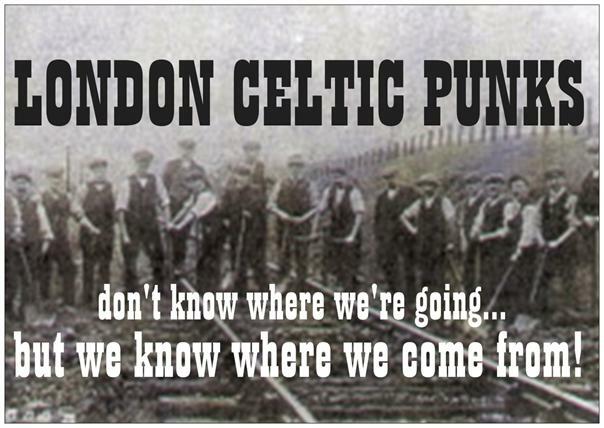 An EP of four self penned songs lasting only ten minutes but made even of an impact to surge to the top of the Celtic-Punk media’s Best Of lists for 2015. This was followed up a couple of years later with the release of their brilliant debut album Alcoholic Rhapsody and again, as their name suggests, beer drinking influences a lot of their lyrical themes. The music was fresh faced, fast and super catchy with a knowing sense of humour that has endeared them to everyone who comes across them. So can they keep up this record of only producing absolutely fantastic records. Well the answer is of course and there’s no sign of it letting up either! The Party begins with the opening track ‘Let’s Get Fucked Up’ which is near six minutes of some of the best Celtic-Punk this side of the Atlantic. Batten down the hatches and let these shipbuilding folk burst yer eardrums and possibly even make you fall over a wheelbarrow in your back garden and end up with a cartoonish black eye for a fortnight! Anyone familiar with our own Mick O’Toole will recognise some similarities with the duo banjo/mandolin sound but its the vocal harmonies that set Drunken Dolly apart with some 60’s style crooning straight off The Beach Boys greatest hits album. Michael and Randy share vocals throughout the EP and even though they couldn’t be more different they fit together brilliantly on The Party and its not often a six minute song flies by so quickly either. They follow this up with the blatantly named ‘Alcohol’ and Michael takes over to sing about his one and only true love. Simple words of love are often the most tender! Pop-punk in the style of NOFX and Blink 182 connects with Irish folk and the result is super catchy and a definite crowd favourite I would think. A song with a chorus of just “Alcohol Alcohol Alcohol” is sure to get them pints in the air! The Party theme continues with ‘Until The Bottles Are Done’ and Randy sings as a punk rock Brian Wilson about the party never ending till all the beer is drunk! Only two songs to go and ‘Without You’ is the shortest track here at just under three minutes and compared to the speed that everything flew by on the debut EP it’s refreshing to hear them not rush things and take their time… even if the songs are still played at breakneck speed! The Party ends with ‘Never Too Late To Party’ and it’s fair to say that every song here is pure class. Twenty minutes of solid and catchy Celtic-Pop-Punk which has elements of punk bands such as NOFX and Blink 182 as well as the usual suspects of the Dropkick’s and the Molly’s but its those fabulous Beach Boys harmonies that give Drunken Dolly the edge. One hell of a band and as their star rises we going to have more and more chances to see them over here so be sure to catch them when you can. That’s right! LQR has their own beer. A blond Triple Grand Cru, and of course it’s named after their last CD ’10 Pinter’. They have their own LQR-coins specially made for the festival. 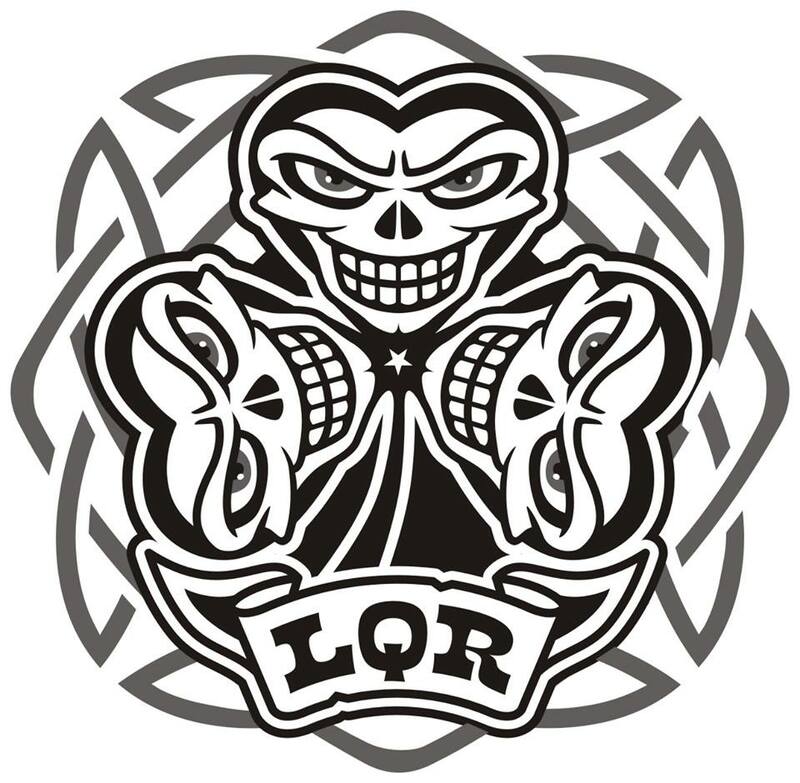 No detail is spared, everywhere you look you see LQR on shirts, coasters, beer bottles etc. There’s even a bowl with pink M&M’s (with LQR on it) backstage. The evening kicked off with the band Daisy Chain. Four ladies on guitar, banjo, bass and violin who play bluegrass in English, French and Dutch. Great opener! At the end of their set LQR jump on stage and join in and together they play a nice version of Dropkick Murphy’s ‘Rose Tattoo’. Meanwhile the place is absolutely packed and LQR start their set with ‘Muffins and Coffins’, normally the last song of a LQR gig. The set includes mostly up-tempo songs out of the 10 years of LQR. Halfway the set, accordion player Arjan calls on the audience to grab their phone’s and to film their next song, ‘Mis Amigos’, and send it to LQR’s e-mail address. The same trick they did in 2015 for the video of ‘Leprechauns’ which can be found at the end of this review. The crowd goes mad when they play Gogol Bordello’s ‘Start Wearing Purple’, which is always a personal favourite of the band. After over an hour they finish their performance with two Flogging Molly covers, ‘Black Friday Rule’ and ‘Salty Dog’. The crowd loves it! Next one up are the Hillbilly Moonshiners. A cover band who play pop and rock songs in bluegrass style. Hilarious is their version of Beyonce’s ‘Single Ladies’. An energetic set from the lads is driving people insane and there is a LOT of dancing going on. It is possible that some of it is influenced by 10 Pinter beer I’m sure! 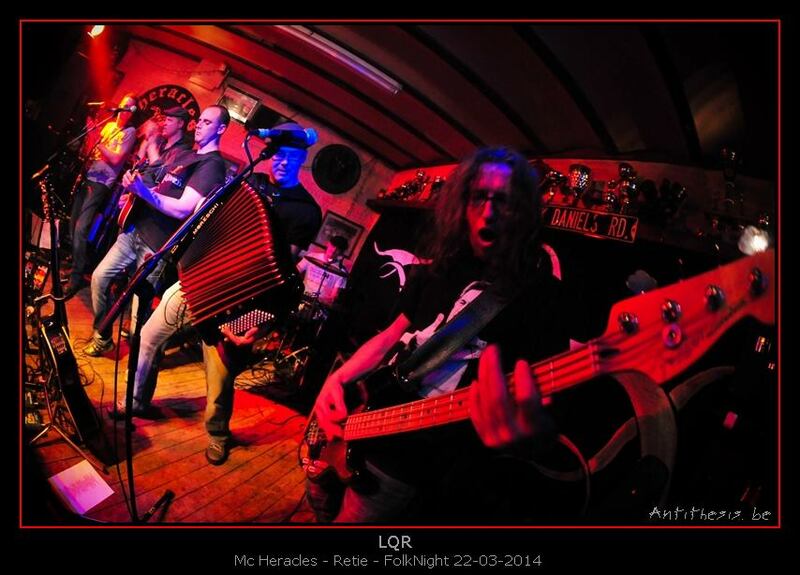 The last band of the night is LQR’s fellow Dutch celtic-punkers The Royal Spuds. They surely know how to party! The band keeps the energy level high with some great songs from their 2015 album It’s a Feckin’ Freakshow along with some older material and a few covers. At the end of the night LQR members Mark and Arjan join the Spuds for their last two songs, ‘Drunken Lullabies’ and ‘What’s Left of the Flag’, both Flogging Molly covers. A great first edition and a roaring success that will certainly will have a sequel in 2018. 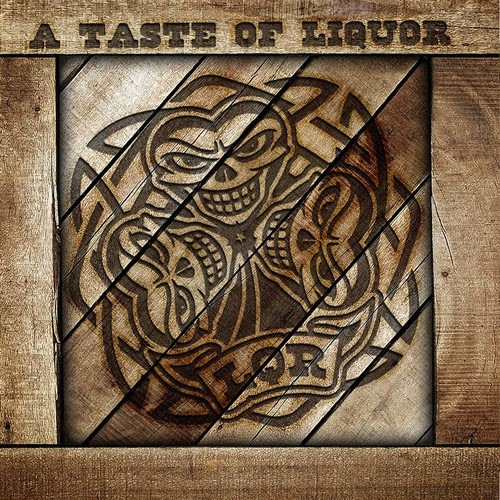 You can read our reviews of LQR’s great 2015 EP A Touch Of Liquor here and their even better 2016 album 10 Pinter here.